London-born William Yeates Hurlstone was only 30 when he died, in May 1906, a victim of bronchial asthma. Even so, the music he was able to compose during his short life shows remarkable accomplishment. He was a student at the Royal College of Music alongside such later luminaries as Bridge, Holst and Vaughan Williams � and yet a fellow student, the composer Thomas Dunhill, described him as �unquestionably the most significant musical figure of his generation�. This CD presents the first-ever recording of his complete piano music. It develops from confident childhood essays, takes on board the influences of Chopin, Schumann and Brahms, and matures into an assured and natural style balancing lyricism and drama. Dr Kenji Fujimura is one of Australia�s most important musicians. His own compositions were most recently performed in the USA and Australia. He completed the four-year BMus (Hons) degree in two years at The University of Melbourne, and also received a MMus as a full scholarship holder. His performance recitals achieved the highest marks ever awarded in the history of the institution. 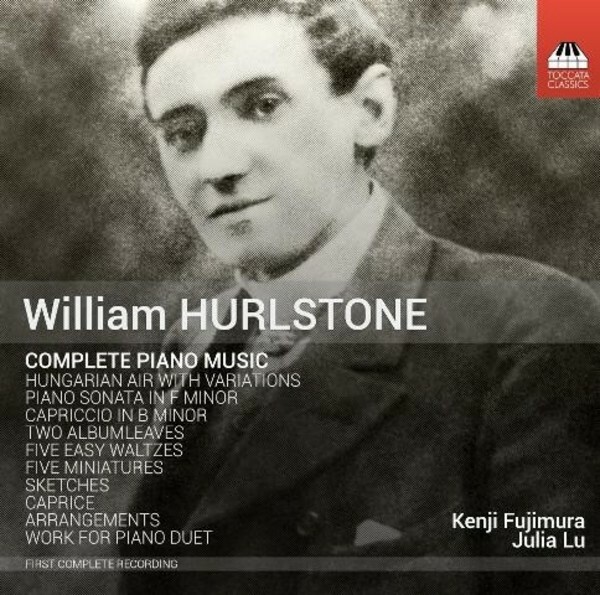 Kenji was awarded a full PhD scholarship to examine the music of William Hurlstone. He is currently Deputy Head of School, Coordinator of Classical Performance and Coordinator of Chamber Music, at the Sir Zelman Cowen School of Music, Monash University. In 2015 he was elected an Associate of the Royal Academy of Music.